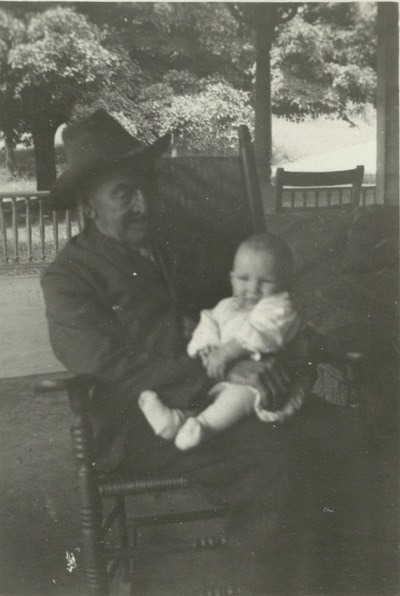 With grandson in 1922, Dresden, New York. Ira enlisted at Bath, New York, September, 1862, aged 17 years. Traveled via ship to New Orleans, December 1862. Participated in 1863 siege of Port Hudson and battles at Plains Store and Kock’s Plantation. Wounded and captured at Sabine Pass, Texas. Imprisoned at Camp Ford Texas. 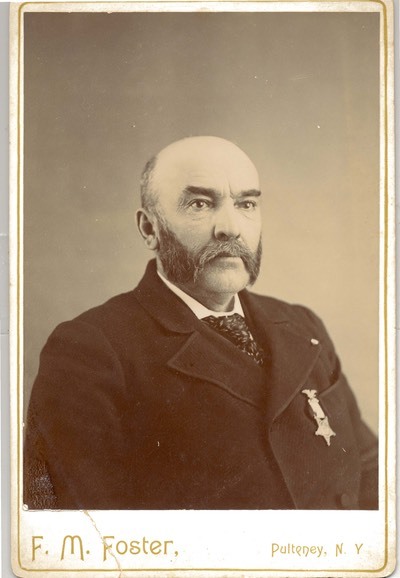 Paroled and returned to regiment in 1864. Particpated in Battle of Sabine Crossroads and the Battles of Spanish Fort and Fort Blakley of the Mobile Campaign. Mustered out September 1865 at Fort Jefferson, Florida.